EthosCE 7.4.1 Assessments, enrollments, SCORM and more! 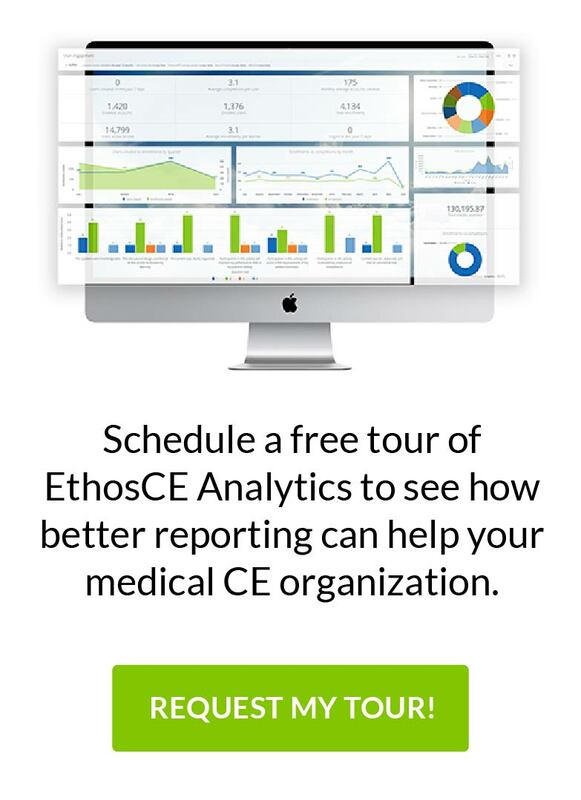 Today we are excited to announce the release of EthosCE 7.4.1, the first update to the completely rebuilt version of EthosCE introduced in July 2014. We will continue to add improvements and new features in the months to come! For 7.4.1, we have reworked the layout and features of the quiz module. Below are some of the improvements. A self-assessment report is available for end-users. Learners can see how they did compared to their peers for the entire assessment and on each individual question category! A per-response peer comparison is available so users can see how they did compared to their peers on each question and response. Feedback settings are more granular and feedback formatting has been restructured for improved readability. Learners can be allowed to navigate randomly through the quiz, but can be prevented from changing questions that have already been entered. An “answer sheet” is available to allow learners to navigate through very large quizzes. Administrators can allow learners to retake a quiz and build on the last attempt by pre-filling the quiz with the attempts from the previous attempt or start a fresh attempt. For example, a manager or office administrator can purchase or enroll a group of employees or staff into courses without being a course administrator. An enrollment group manager is much like an instructor. The enrollment group manager can edit enrollments and completions, including recording attendance and setting a pass/fail status. The enrollment group manager will also be able to see reports on their enrollees in the very near future. Enrollment questions allow an administrator to add arbitrary questions to the course (unassociated with quizzes, evaluations or payments) that can be answered by the learner at the time of enrollment. These can be downloaded in a CSV file or used for custom reports. Each set of responses is associated with that user’s enrollments. Course objects “allow skipping.” Learners can be allowed to move through course objects in random order while still being required to complete all required objects before completing a course. EthosCE 7.4.1 supports SCORM 1.2, SCORM 2004 and Tin Can packages. We have implemented the best-in-class, ADL-certified SCORM and Tin Can engine from scorm.com. It is the same SCORM technology used by some of the world’s biggest learning management systems and it should provide you and your learners a smooth, easy-to-use experience. For documentation on creating and reporting on SCORM packages, see our user documentation. Masquerade allows a site administrator to log in as any other user and view the site as that user. This can be helpful for site administrators to claim credit for users or for troubleshooting reported issues. Various other improvements and fixes can be seen on our changelog. We’re very excited about the improvements of EthosCE 7.4.1 and will be releasing it to existing customers on a rolling basis. How to Select an AMS that Uses Single-Sign-On Technology Standards Celebrating Our 15 Years in Business!